CONEY ISLAND – School’s out for the summer and Coney Island is celebrating with free family-friendly activities at Steeplechase Plaza this Saturday, June 30. 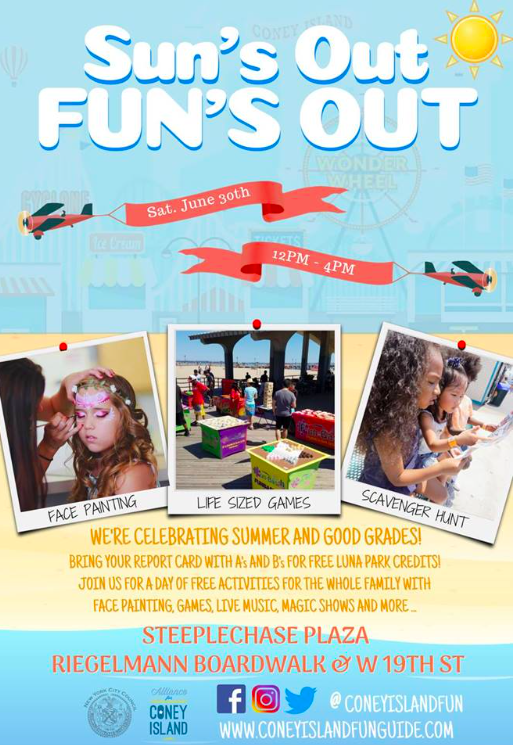 Presented by the Alliance for Coney Island and Council Member Mark Treyger, the “Sun’s Out, Fun’s Out!” event will feature life-sized games, face painting, balloon twisting, Zumba, an interactive puppet show, and a scavenger hunt. The event coincides with Luna Park’s “School’s Out” ride special. 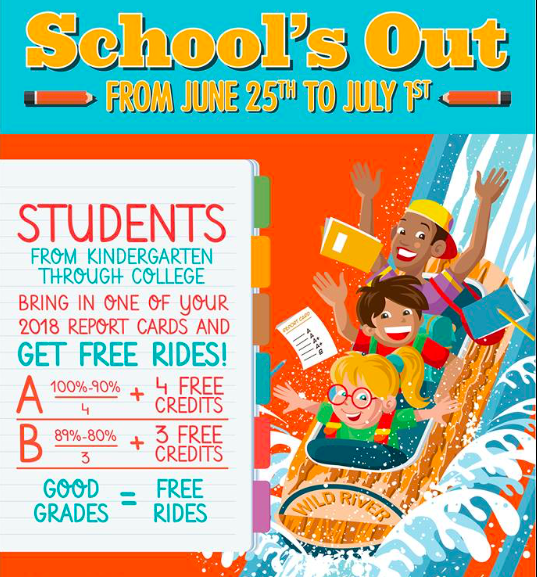 Until Sunday, July 1, students from kindergarten through college can present their 2018 report cards at the park’s ticket booths and receive credits for their good grades to go toward Luna Park rides! The Park will “gift up to five good grades with free credits,” giving four credits for A’s and three credits for B’s. The New York Aquarium’s Ocean Wonders: Sharks! exhibit also opens this Saturday, making a day-trip to Coney Island a perfect way to kick off the summer. Just remember, if you head to the beach, swimming is off limits between West 19th and West 29th Streets.